Despite Christmas 2015 not feeling like Christmas at ALL, I received some beautiful presents that I am extremely grateful for. 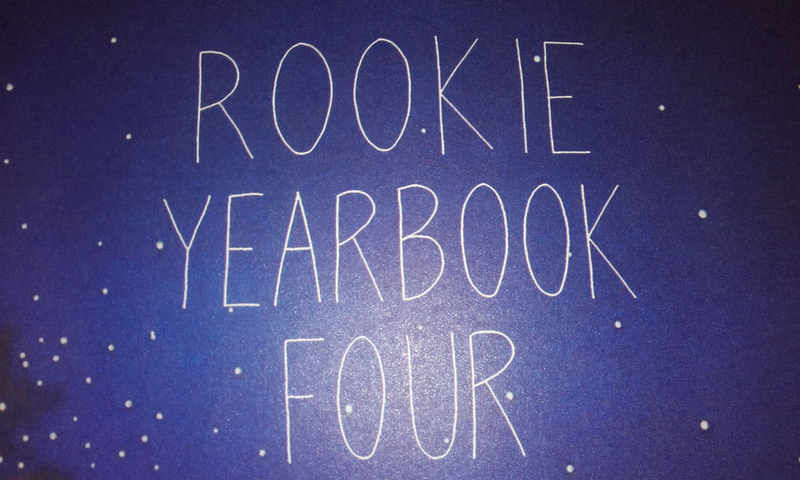 One of the most special ones was the Rookie Yearbook Four. I had wanted to get one for years, having been an avid fan of the website, but kept putting it off. My immediate thought when I finally held the book in my hands was "wow, it's much bigger/heavier than expected". Well, naturally. 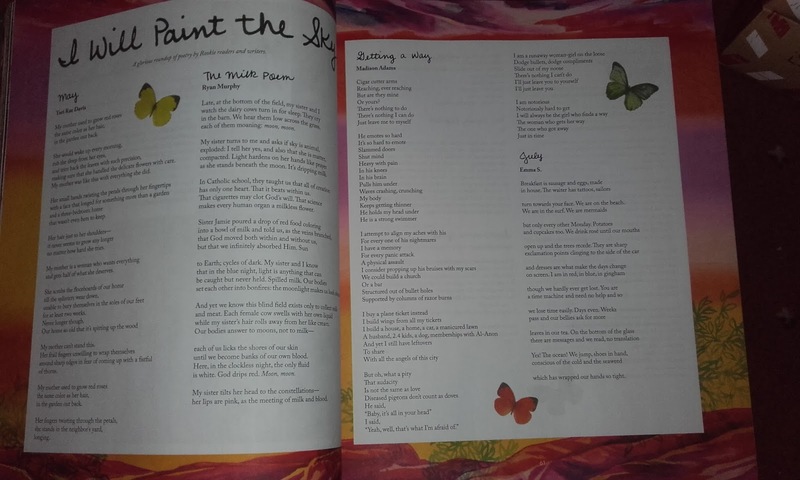 The book has 352 pages no less, jam packed with words, advice, art and colours. 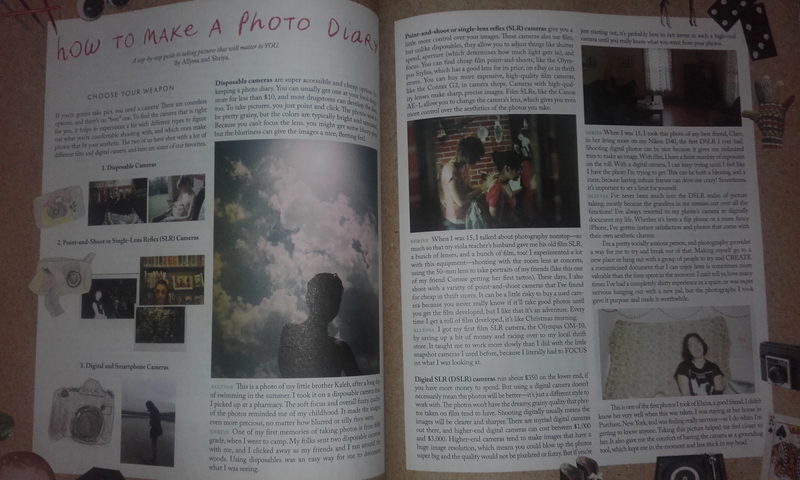 I am absolutely delighted to present my favourite pages. 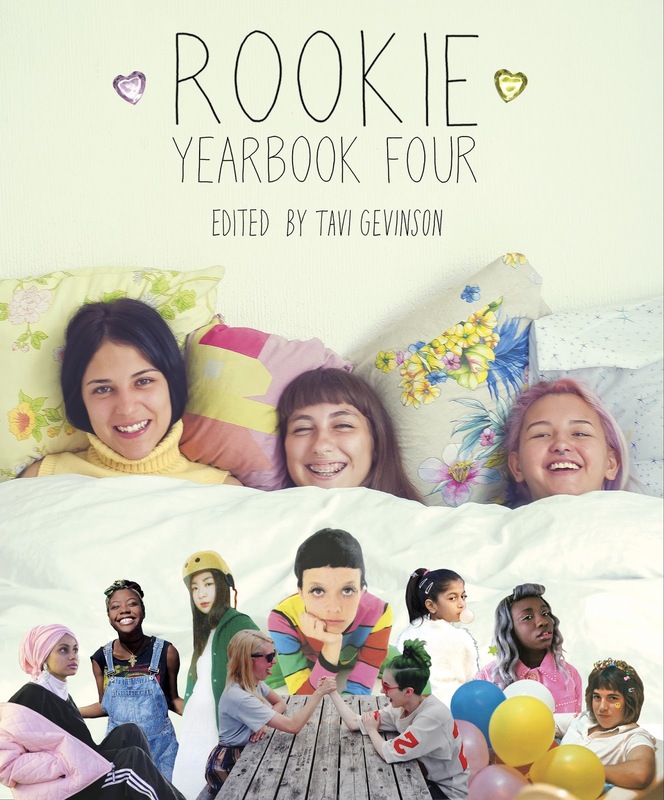 RookieMag.com has been a place of solace, education, entertainment and happiness all in one. Despite being just past the age demographic at age 20, I still will be going back to read it as much as I can. You're never too young to learn. 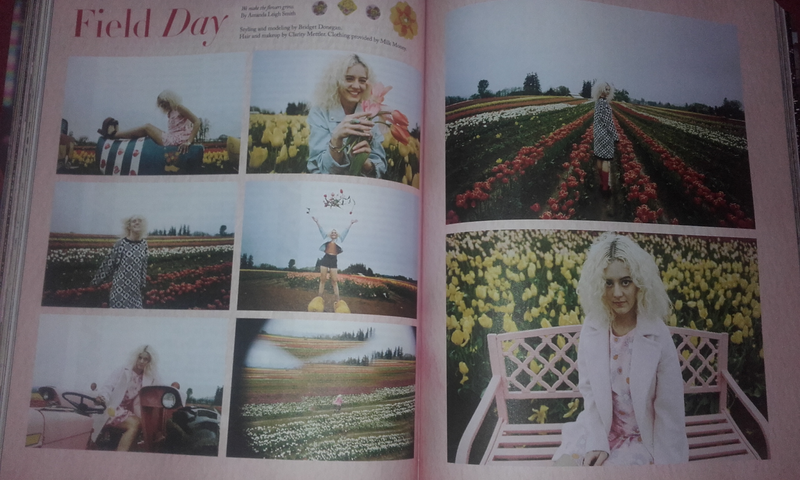 I'm going to post pictures of my favourite pages. I might add more pages to it this as time goes on! However you need to know the girl behind all of this: Tavi Gevinson pictured below here. I wrote about her here, talking about how she got the media's attention age age 11. I don't know if I can fault Rookie on this book in any way majorly. I will say that some of the pages are a little harder to read than others, due to the handwritten nature of them and the colours. But that's not a massive fault. I have learned so much from the girls who provide content for the website and the yearbooks. Bear in mind that this is only a few pages out of a 352 page book. But I will show you much more as time goes on. 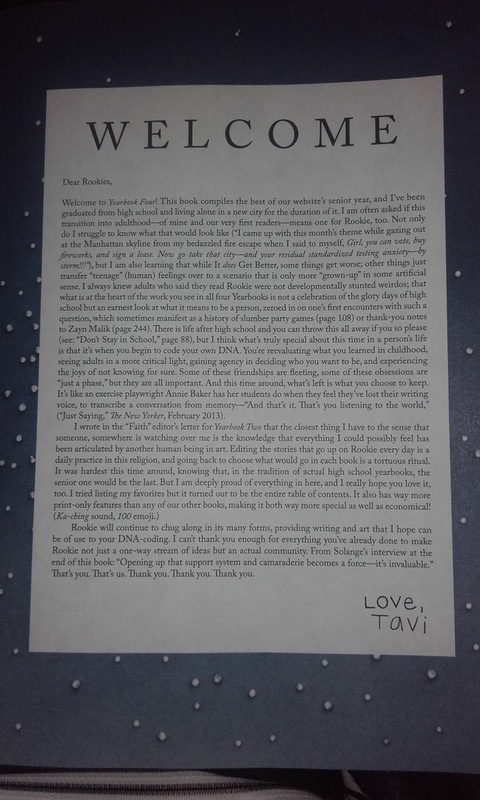 I personally look forward to Tavi's editor letter each month. 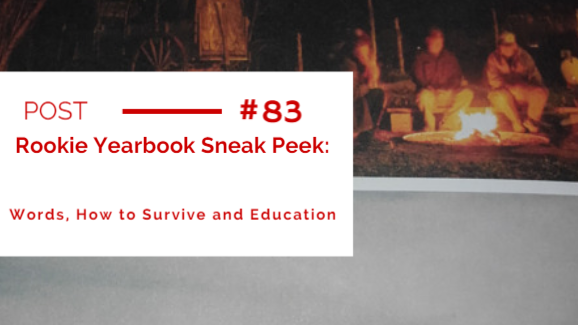 Some of my favourites are not included in the yearbook. These I link in my Young People to Watch post about Tavi. "I wrote in the "Faith" editor's letter for Yearbook Two that the closest thing I have to the sense that someone, somewhere is watching over me is the knowledge that everything I could possibly feel has been articulated by another human being in art"
The book itself is $29.95 plus postage, so it's not exactly cheap. That's roughly £20 plus postage and €27 plus postage in euro. But I promise you, it is worth it. Worth showing to your younger cousin, sibling, niece or friend. However it is just as relevant to teenagers, young adults and even adults. 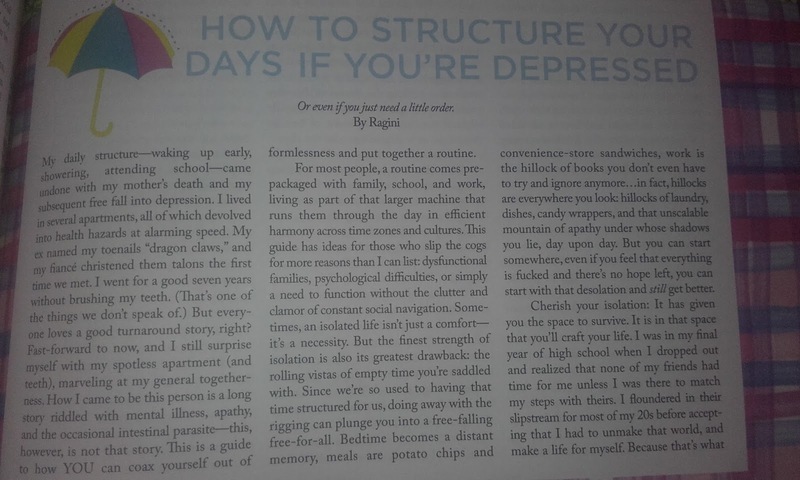 Order it from RookieMag.com , Amazon.com or some really good bookshops. 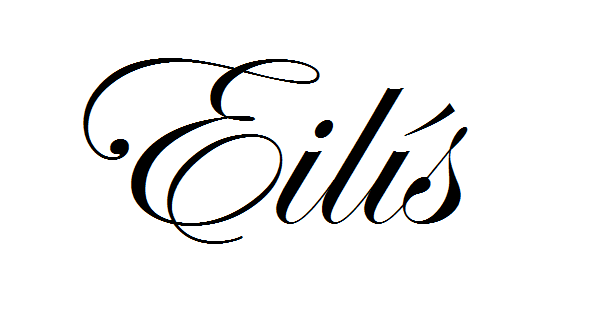 Thank you kindly for reading, I hope you enjoyed this! thanks for your lovely comment on my blog! I absolutely love the rookie year books!